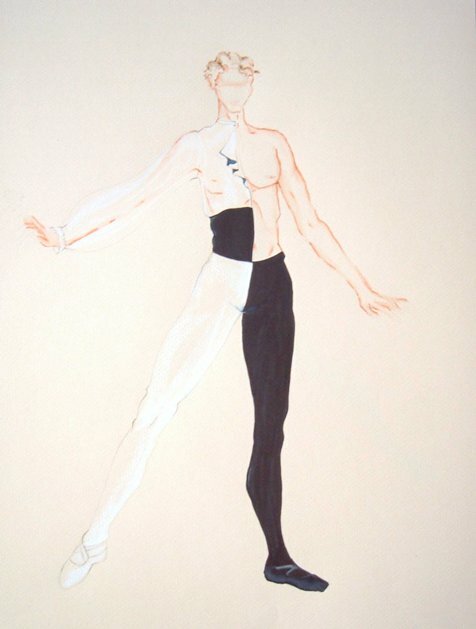 Rendering for man for Julia Adam's If a Rose Falls, Atlanta Ballet, 2003. 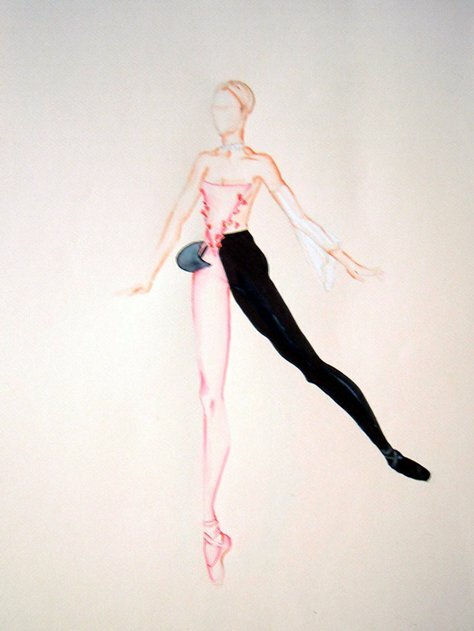 Rendering for woman for Julia Adam's If a Rose Falls, Atlanta Ballet, 2003. Christine Winkler and John Welker, If a Rose Falls, .Atlanta Ballet, 2003. Photo by Charlie McCullers.